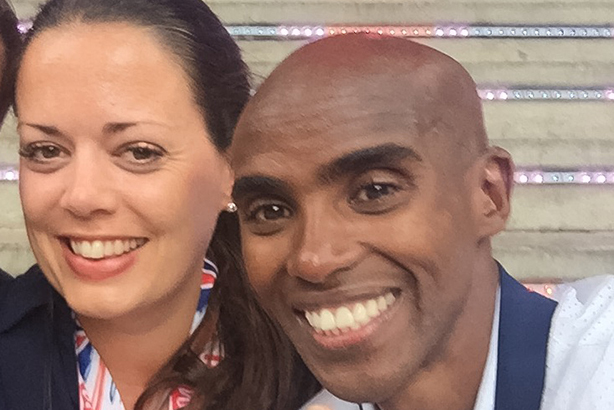 PRWeek chats to comms pros in Brazil: After arriving back in the UK last night, Freuds director Jo Livingston talks about client Mo Farah's 'double double', her Rio highlights and her flip-flop penchant. Freuds represents Mo Farah, and I have flown out to support Team Farah, as well as manage opportunities around his attempt to become the most decorated endurance athlete in history – a feat he achieved last Saturday when he followed up on his amazing 10,000m win with gold in the 5,000m final, completing the 'double double'. I had never been to Rio before, although I had an understanding of how the Games work. In 2012 Freuds managed the PR for the torch relay, as well as BMW's sponsorship of London 2012. I had been influenced by the negativity in the media, but as soon as I arrived, I knew it would be fine and wasn't as bad as what was being reported. I've been using taxis, Uber and public transport freely and easily. Does it feel like the Brazilian authorities' and games organisers' PR operation is running smoothly? Overall, I think it has been run pretty well. I didn't experience the long queues that happened at the beginning of the week or see any facilities unfinished. However, if I were to be critical the user experience at the stadiums could have been better. It was often unclear where to go, where to queue, how to get around and so on. There was little signage, clear direction at the venues – even finding your seats was difficult – and no clear information about how to get from A to B using public transport. A complete contrast to London 2012. The individual nation's 'Houses' were very impressive – essentially a home away from home for each country or brand. I visited quite a few and all were very different. It was interesting to see how they brought a brand or nation to life. My favourite has to be the British House which was in Parque Lage (below), a spectacular historic building sitting below Christ The Redeemer. What will be your abiding memory of the trip? It has to be Mo doing the 'double double'. I was with his wife and daughter and having worked with Mo for over a year now it was a very special moment. The 10,000m race in particular was amazing. He really put us through the mill during the 27 minutes and when he fell we thought it was over. To come back into the race and then win it was incredible, and when he crossed the finish line it was sheer pandemonium. A once-in-a-lifetime experience. Mo aside, which athlete would you most like to get a selfie with? It has to be Usain Bolt. I didn't manage it, but the noise when he walks into the stadium is deafening – a real superstar. Havaianas flip flops of course, and specifically Rio 2016 ones. The souvenir cups were also a highlight, ­although they made queuing for drinks longer due to people wanting to select their cup each time as they endeavoured to get the whole set.